Remember the left overs, if it makes it that far, snoek-fritters with sweet potato and apricots. Bring all ingredients to boil for basting remove from heat. Baste, and place on hot fire skin side down. Cook skin side for about 6-8 minutes. Keep a close eye as it can burn quickly, watch flames as the butter will provide extra fuel for flames. Turn and continue to cook flesh 6-8 minutes. Turn again keep basting until cooked through. 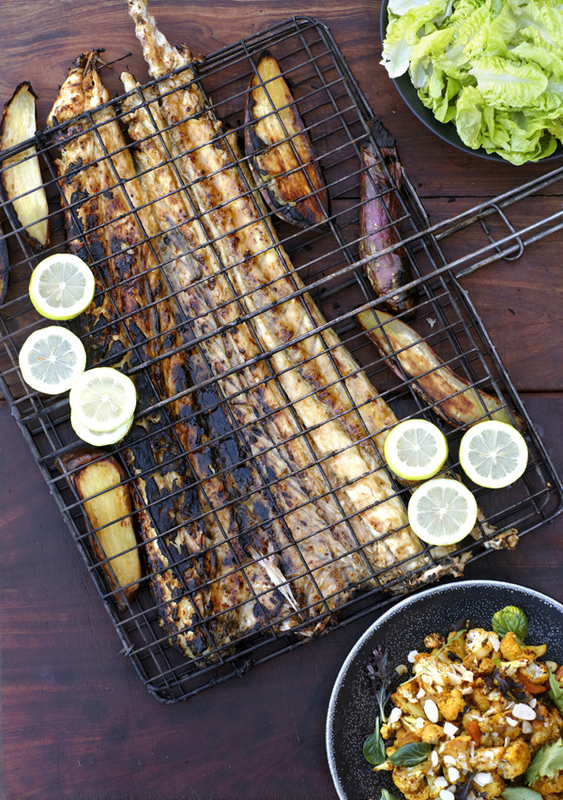 Snoek will cook quickly, so watch not to overcook. Soon to feature again in the lounge, firm favourite amongst the chefs in the kitchen, confit translates into preserved and is a simple process. Basically it is meat poached in fat and preserved in the same fat it was poached in. In olden times it was required and a necessity preserve and cook meat in such away, as fridges were not available, but in today’s time it has become an integral part of food and cuisine. 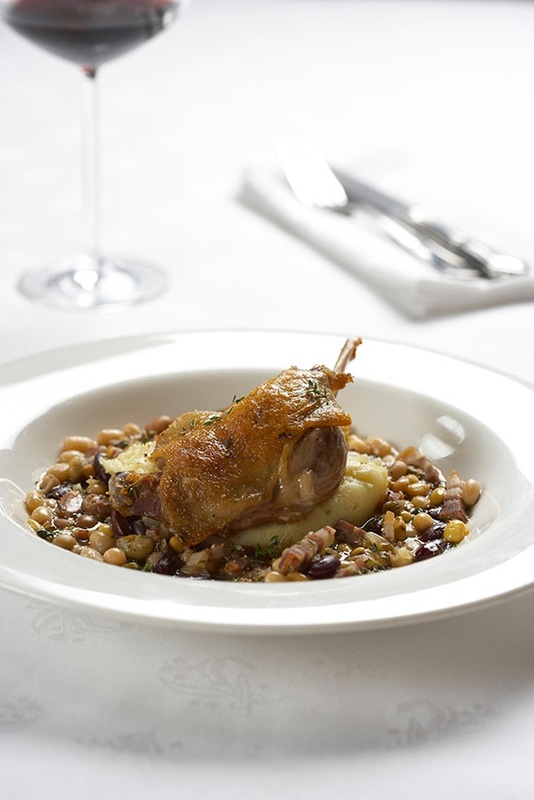 We serve the confit with bean or lentil cassoulet and a root vegetable puree like celeriac. Place legs on salt fat side facing down . Distribute the remaining salt mix on top of duck. Leave to marinade covered for 8 – 12 hours. Wash off the salt and dry with paper towel. Place the duck legs in a sauce pan or an oven dish. Cover with the duck fat and cook for 4 – 6 hours in a preheated oven (82-92°C) can cook longer if required. Over cooking makes it mushy so be careful. Ensure that you do not go over the set temperature the fat must be kept under a simmer. If you are not using the duck immediately leave in the fat till required. Place in pan and fry no need to add other oil it should take about 5 minutes depending on the size. Finish in oven if needed. It important to remember the fat on the duck must be crispy.